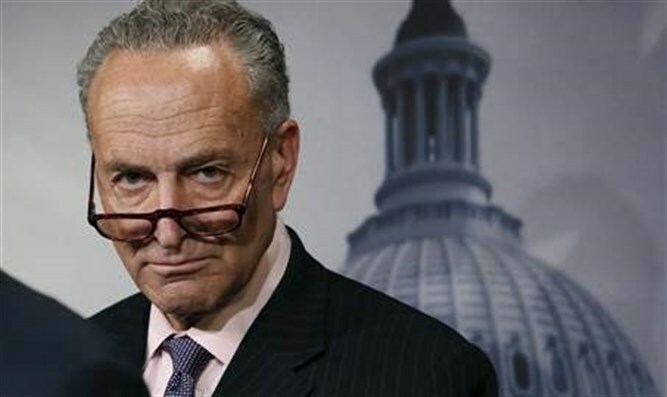 So after 20 years of MASSIVE government overspending driving us to a TWENTY ONE TRILLION dollar deficit in some psychotic mess of a brain chuck Schumer says that the ‘Era of Austerity’ has come to an end. This is mental insanity. We have been the most overspending big government era in history so much in fact that we are at serious risk of bankrupting the state. Monies for Black Welfare Queens, Single Moms, Massive Jails, Massive Intelligence complex (18 AGENCIES!!! ), Massive Wars and Wehrmacht, but no money for entrepreneurship or entrepreneurial infrastructure. The psychotics Paul Ryan and Chuck Schumer are completely corrupt and in league with big business. Lord help us that this ends in the Senate and never sees reality. We need to CUT the budget by 20%, not INCREASE it by 20%. MADNESS. TOTAL MADNESS!!! With the fed hiking rates, where is the money to pay the TRILLION DOLLAR A YEAR INTEREST ON OUR DEBT? JUST BORROW IT? That’s banana republic! The 2,232 page bill, which was released to members today, is expected to be voted on later this afternoon. Schumer said Democrats will enthusiastically support it. “I’m really excited about it,” he said. The Democratic leader said he was intimately involved in crafting the spending package. The New York lawmaker also praised the inclusion of new gun control measures, but said Congress will eventually need to pass additional gun restrictions as well.